I am currently four days free from toxic Diet Soda. What do you switch to when you are so used to drinking soda on a daily basis? Tea! Tiesta Tea has so many flavors I will never have to go back to Diet Soda or any other kind of unnatural drink again. This sure helped me in knowing the best use for the tea, and to ensure I am not energizing when I should be relaxing. They have black, green, white, herbal, rooibos, mate and oolong varieties. Passion Berry Jolt which is great in iced tea! 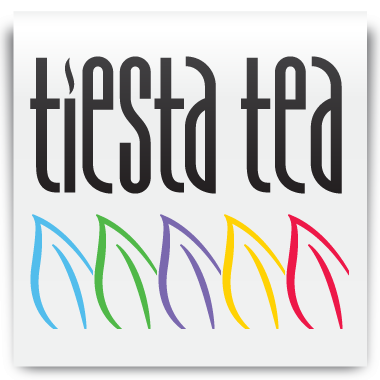 Remember tea isn't just for those cold winters at all, many of the teas from Tiesta Tea make a great iced tea as well. It has nice blue cornflower petals in it, how fun is that. A great passion fruit flavor in this tea! I didn't add any sweetener at all, this tea was perfect just the way it was! From the Relaxer category I tried the Palm Beach Punch. Now I know that doesn't sound very relaxing, but it simply has no caffeine which makes it the perfect evening brew! It contains herbal and rooibos teas combined with fruits and leaves and is also great as an iced tea! Immunity teas blend rooibos and herbal teas to naturally boost your immunity by eliminating toxins. This is perfect as I detox from soda pop this week. I tried Kiwi Cherry Bonanza and it surely was! This tea was great hot or iced and contains no caffeine. I really love Chai tea, the next on my list from Tiesta to try is the Cape Town Chai,! Love the canister that lets me know exactly how much tea I have left! Use code JubileeTea11 to receive a 15% discount and free shipping on your order!